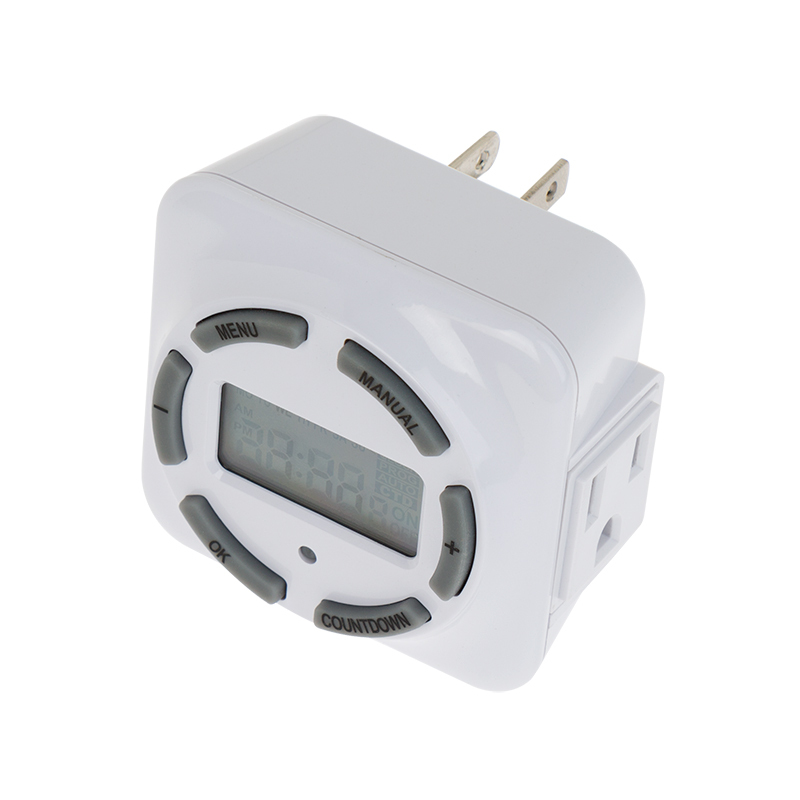 Use this digital timer to control landscape lights, Christmas lights, and other lights or lighting systems plugged into 2- or 3-prong AC power outlets. 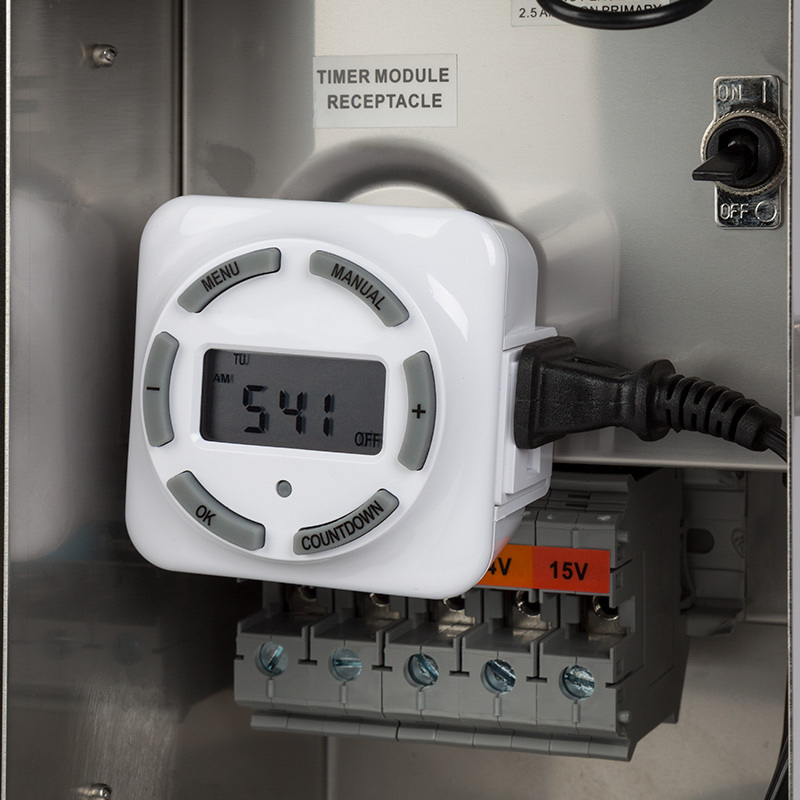 The timer is also designed to work with 150-, 300-, and 600-watt low-voltage landscape lighting transformers. Customize on/off settings for a full week, individual days, only weekdays, or only weekends, and set up to 9 different programs per day. 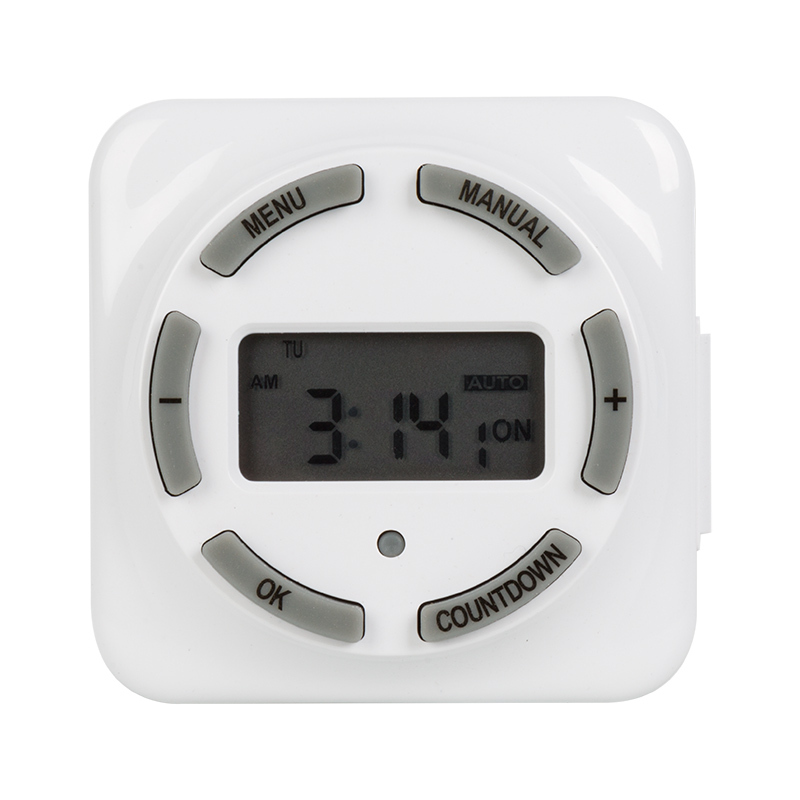 The digital timer has an LCD display that shows current time, mode, and settings, and its battery backup keeps current settings during power outages. 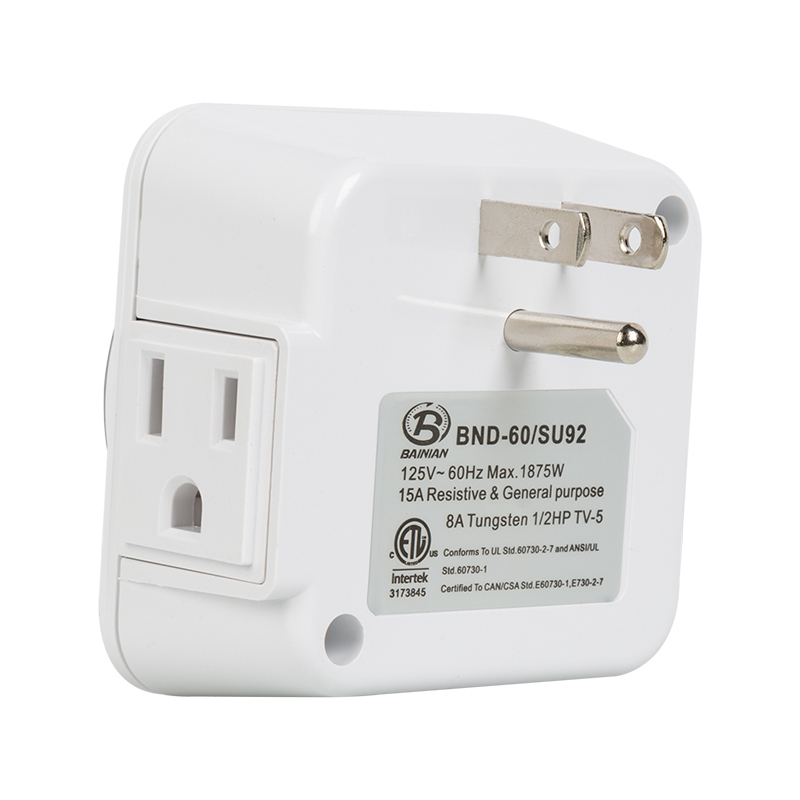 This timer plugs into standard 3-prong outlets and has a 3-prong receptacle. Use it indoors or outdoors under covered areas or in enclosed spaces. Rated for 15 amps.